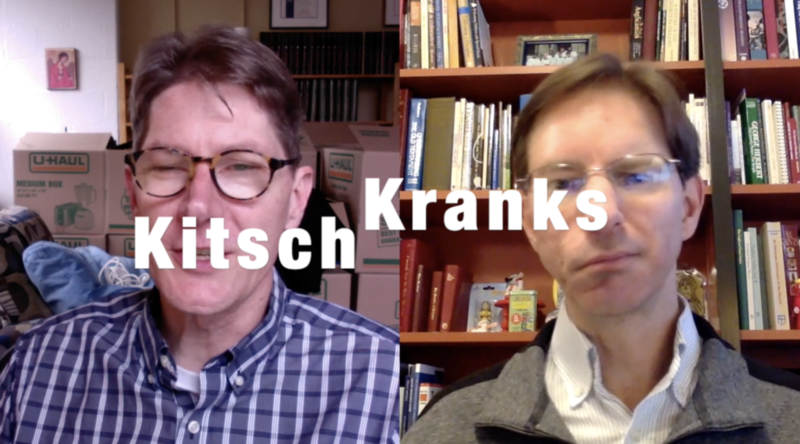 As the giant purple Lenten clock ticks down to the start of the Elate Eight — aka the Round of Saintly Kitsch — Tim and Scott share their annual warning about Kitsch Kranks, the people who just can’t get on board with this level of fun and frivolity. In this week’s episode of Monday Madness, you’ll get a reminder of the First and Second Great Commandments of Lent Madness, but also the reminder that if you want the facts about saints, you can always revisit the basic biographies of the first round or the quirks and quotes of the Saintly Sixteen by clicking the Bracket Tab. The SEC also celebrates the naming of St. Anna’s Episcopal Church, a new church born out of the merger of two congregations. Inspired by the 2018 Golden Halo winner, Anna Alexander, they chose the name St. Anna’s. We shared this story in a special post. Also, if you want to hear the rare instance where Scott accidentally called Tim a “friend”, tune into Scott’s interview with Sandra T. Montes on her Lenten podcast. He also talks about Lent, “go big or go home” liturgy, and his journey into the Episcopal Church. If you need to cleanse your palate after listening, you can read Tim’s new book while you sip some coffee. This is here for social media sharing. Or for you to print this out and frame it. Totally up to you. 6 Comments to "Monday Madness — Kitsch Krank Edition"
I caught that “friend” remark. Considering the vast amount of knowledge, wisdom, and downright obscure information we receive from Lent Madness, I think it _should_ be http://www.lentmadness.edu. Kitsch kranks??? Say it ain’t so!!! The SEC is slipping, or it has been infiltrated by some nefarious krankster! Anyone else notice the name of the first Lent Madness Golden Halo winner on the spine of a book behind Father Tim?